My whole life is a lie, thinks Ryan Schuyler, who has recently learned some shocking news. In response, he walks off the Northwestern University campus, hops on a bus, and breaks loose from his existence, which suddenly seems abstract and tenuous. Presumed dead, Ryan decides to remake himself–through unconventional and precarious means. 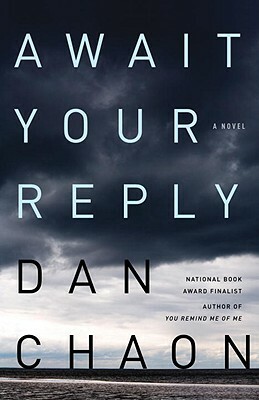 Dan Chaon is the acclaimed author of Among the Missing, which was a finalist for the National Book Award, and You Remind Me of Me, which was named one of the best books of the year by "The Washington Post, Chicago Tribune, San""Francisco Chronicle, The Christian Science Monito"r, and "Entertainment Weekly," among other publications. Chaon's fiction has appeared in many journals and anthologies, including The Best American Short Stories, Pushcart Prize, and The O. Henry Prize Stories. He has been a finalist for the National Magazine Award in Fiction, and he was the recipient of the 2006 Academy Award in Literature from the American Academy of Arts and Letters. Chaon lives in Cleveland, Ohio, and teaches at Oberlin College, where he is the Pauline M. Delaney Professor of Creative Writing.